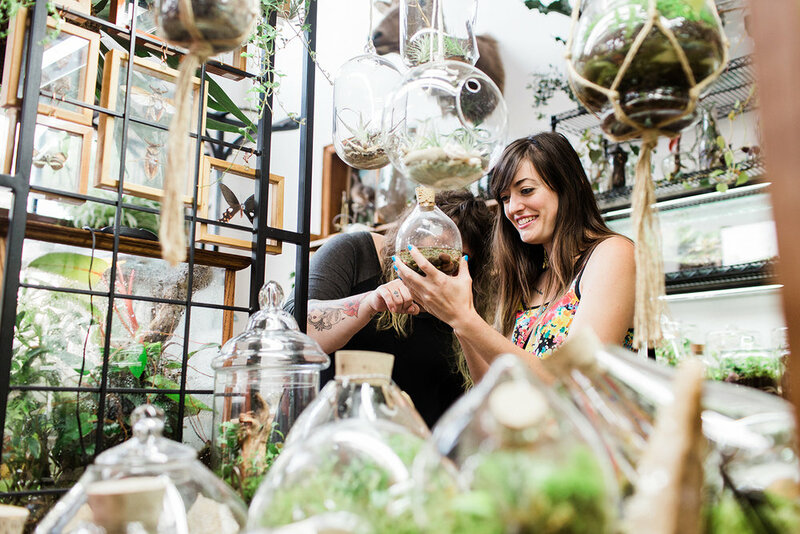 Our little terrarium shop is a wonder to behold in and of itself. It’s like a small Natural History Museum full of all kinds of interesting stuff. So when you visit, take time to explore the displays and get inspired by the wonders of nature. Then, if you like, you can take home one of our latest creations, or plant your own terrarium on the spot. Better yet, register to take one of our terrarium classes. You’ll become an expert terrarium planter and another of our thousands of fellow terrarium enthusiasts. Take a virtual tour here.